I made a BCA month gift in a jar over on The Country Chic Cottage so I started searching for more jars for Breast Cancer Awareness Month. Surprisingly there are not very many! 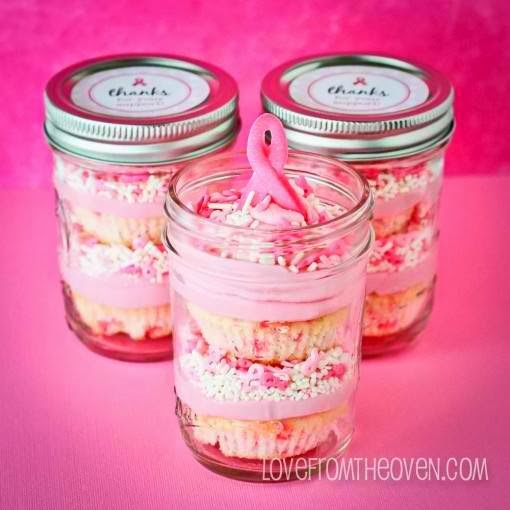 I did come up with these cute breast cancer awareness cupcakes in a jar from Love in the Oven. Head on over there to see how to make these super cute pink additions this month.